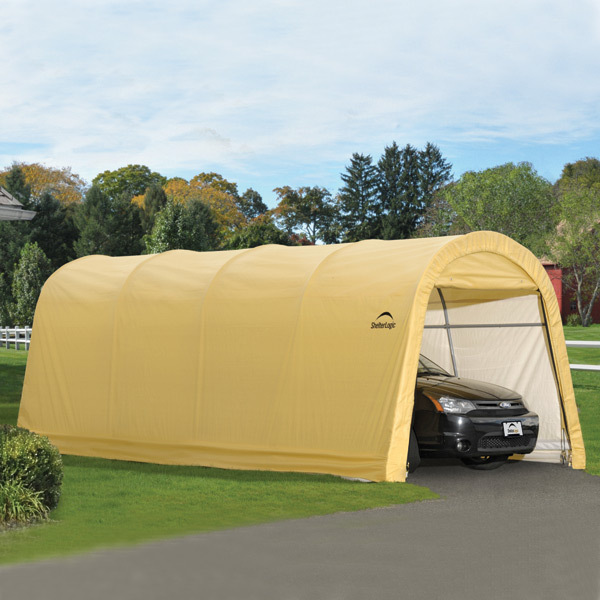 A 1 3/8 inch durable steel frame supports this AutoShelter 1020 Round-Style Portable Garage with Tan Cover. The polyethylene cover is triple layer, rip stop water proof, UV treated fabric. The cover is heavy duty commercial grade. The tubular steel frame, 1 3/8 inch, has a baked on powder Du Pont thermoset coating that prevents rust, corrosion, peeling and chipping. 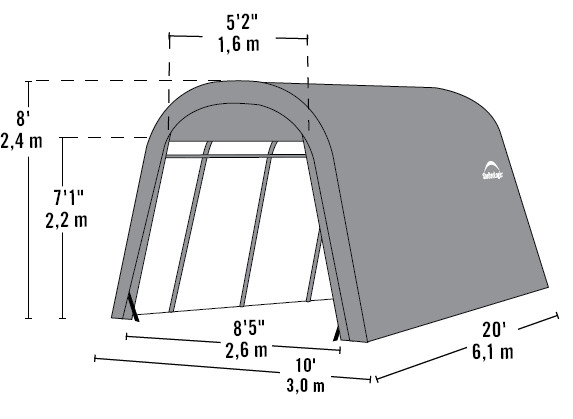 The shelter features a one year limited warranty. The cover is held tight and in place with a ratchet system.